​​Aaron is an experienced investment professional and consultant. He is a Principal at Fi360 Pacific and MyFiduciary and provides investment support to a range of Adviser groups and Investors. 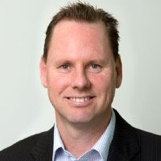 Aaron serves as a Trustee for the Fairground Foundation and the Investment Committees for Foundation North, Metis Research Group and Taupo Moana Investments. He is also an Associate of the NZIER and leads the Sovereign Funds research program at the New Zealand Institute of Pacific Research. Aaron has worked at the institutional asset management level, as well as for retail-focused advisory businesses. This includes seven years for the New Zealand Superannuation Fund where he was a member of its Investment Committee and helped establish its passive Reference Portfolio governance benchmark, dynamic asset allocation strategy, and thematic investment strategies. Aaron has also worked as a principal economist for the NZIER, at the OECD in Paris, as a consultant for the IMF, as a CIO for the Stewart Group, and at the Reserve Bank of New Zealand where he led the research division as was a member of the Bank's Monetary Policy Committee. He holds a Master of Economics (Honours) from the University of Auckland and the AIFA® designation.